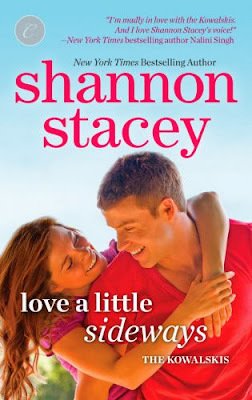 New York Times bestselling author Shannon Stacey lives with her husband and two sons in New England, where her favorite activities are writing stories of happily ever after and riding her four-wheeler. The Stacey family spends many weekends on their ATVs, making loads of muddy laundry to keep Shannon busy when she’s not at her computer. However, she prefers writing to laundry and considers herself lucky she got to be an author when she grew up. Visit her at www.ShannonStacey.com. READ THE TERMS AT THE BOTTOM OF THE FORM FOR FULL RULES, REGULATION AND ELIGIBILITY. This is a great series. I am slowly working my way through. I enjoy The Kowalskis series, totally looking forward to reading this one too! I have not read any of her books but this one sounds like fun. I have a couple of her books in my TBR pile, I'm anxious to get to them since I've heard such great reviews on all her books in the series! I haven't tried Shannon's books yet.